What is CSS3 Multi Background? 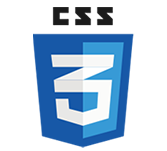 CSS uses a Multi background property to add more than one images at a time without using HTML code. One can add images as per their need and requirements. What should be the Size of Multi background? A Multi background property is allowed to add various sizes for several images. As said earlier, each image has a specific size such as 50px, 130px and default auto size.